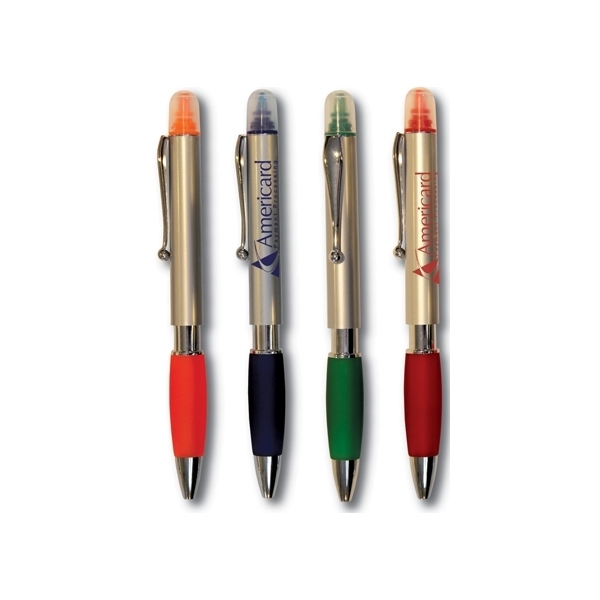 This unique pen has a colored grip with ballpoint pen with medium point black ink on one end and colored marker with clear cap on the other end. 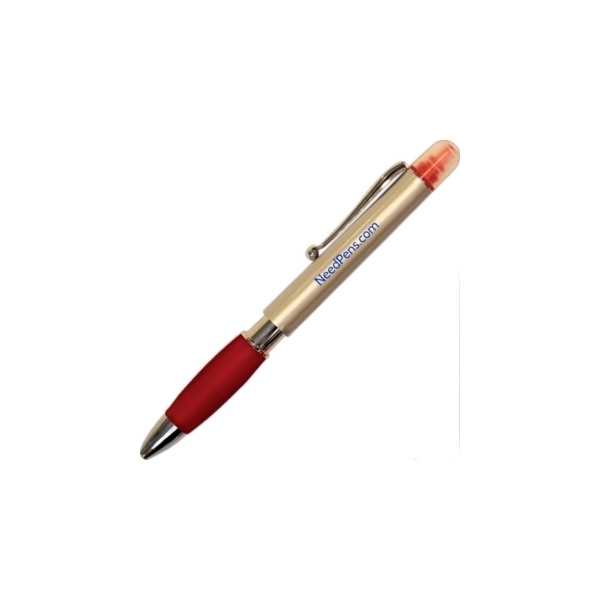 This office essential is the perfect way to put your message directly into the hands of your customers!Promote your business with custom promotional pens. Save on this custom pen with FREE setup, FREE rush service, FREE artwork and FREE shipping. Color Ink/Point: Medium point, black ink, other end colored marker. Shipping Weight: 15 lbs. 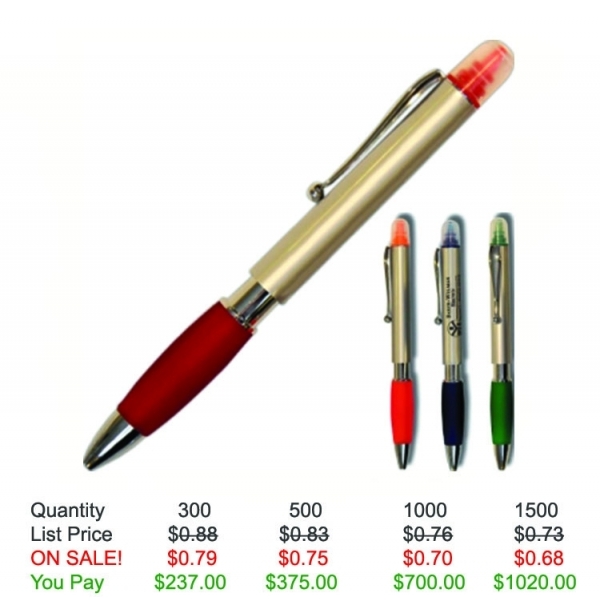 per 500 - FREE Shipping!! I just really love how these write and got them at a great price. I plan to buy them again!